However, one of the key issues is that it is necessary to run gulp in the background when working on the application. The OCD part of me makes me feel very dirty and I do often forget to run it which leads to frustration. 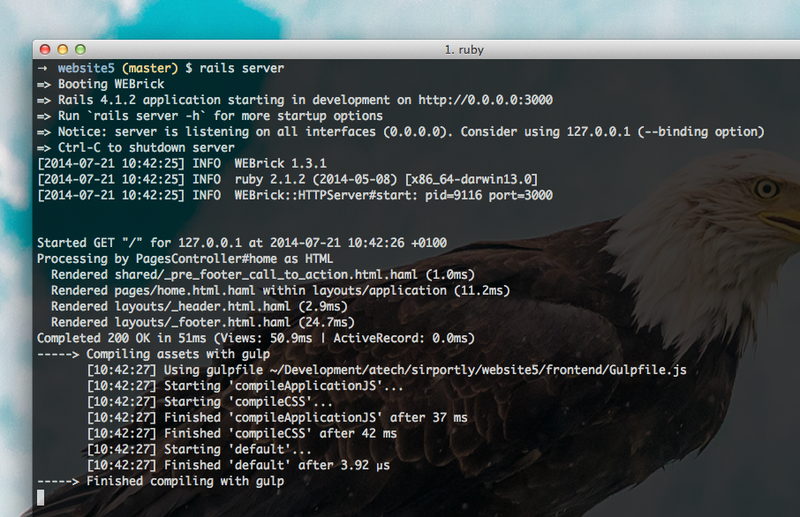 gulp_rails is a tiny gem which sits in your Rails request cycle and runs your gulp commands automatically on each request. 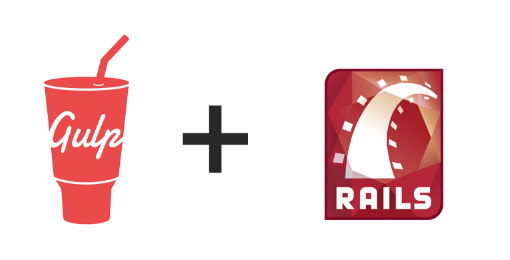 This now avoids the need to run any other commands other than your normal rails server when working on a application — neat, huh? Check it out on GitHub. Also be sure to read the README as there’s a bit of useful information about how to optimise your Gulpfile.js for maximum performance.